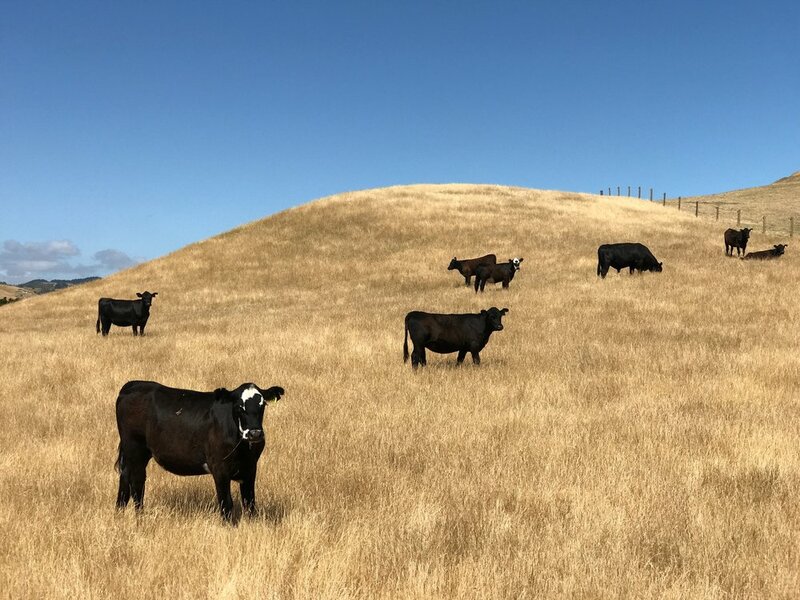 Welcome to Cape Kidnappers, your own private Idaho, thanks to owner Julian Robertson and his family’s vision to create a luxe property on a 6,000-acre working sheep and cattle farm with omg vistas at every turn. Yes, every turn. The Robertson’s fell in love with New Zealand; ultimately creating three distinct lodges; Matakauri outside of Queenstown, Kauri Cliffs in the Bay of Islands, and Cape Kidnappers in the wine region of Hawke's Bay, all blessed with stunning landscapes; each unique to its particular location. Cape Kidnappers on the east coast of the North Island is scenically situated far from town, surrounded by cliffs that plunge dramatically into the sea. It’s breathtakingly beautiful, luxurious yet laid back, state of the art and super comfortable. Like the Robertson’s you can’t help but fall in love too. * On most golfers bucket lists, the championship course designed by renowned golf architect Tom Doak is awe-inspiring, with dramatic golf holes overlooking rolling green hills and crashing waves below--we are talking crazy views. Winds add a challenge to an already tricky course—bring your game and your camera! * Hawkes Bay is New Zealand’s largest producer of red wines, and a bike ride through the vineyards is a great way to get a “taste” of the region. We started our guided trip at Black Barn Vineyards, where after a wine tasting we hopped on our bikes, stopping at additional wineries along the way. (You can sip or spit if you’re worried about falling off your bike) Much of the cycling was off road on limestone trails following the Tuki Tuki Rover before ending at the coastal village of Haumoana where we had lunch at the striking Elephant Hill Estate & Winery. * It’s not every day you go looking for a Kiwi, a unique experience exclusive to guests of Cape Kidnappers. We ventured with our guide into the pine forest to find New Zealand’s rare, endangered native species. (The flightless birds wear radio transmitters) The hotel carries out essential monitoring of the Kiwi chicks—regularly recording their weight and measurements. All proceeds from this experience go to the Cape Kidnappers’ Sanctuary, ensuring the continuation of the Kiwi. Was this an absolute must do? Opinion in our group was divided. While it was fun to see the Kiwi in the wild, the shy bird was not enjoying our visit and didn’t love being held. To some of us, it felt a little manufactured, done for guests, though there’s no denying the value of their conservation efforts. * We spoke to a family with younger kids who loved their guided shepherding experience, stating it’s a must do for families—a fun introduction to life on a working farm. The shepherd and his team of highly trained farm dogs put on quite the show mustering and penning the sheep. Then they watched a sheep getting shorn, not an easy task, one requiring strength and skill. * Don’t miss the Canapés before dinner, our favorite part of the meal each night. Cocktail hour starts at 6:30 in the lounge—a lovely way to start the evening, talking to other guests, sampling wines and enjoying delicious hor d’oeuvres. * We enjoyed sampling the best of New Zealand wines each night at dinner, guided in our selections by a sommelier that knows his stuff. As Cabernet fans, NZ reds were a little light for our tastes, but if you like Pinots, you will be very happy. * Try and leave yourself some downtime for relaxing at the picturesque pool or enjoying a treatment in the hillside spa. * A few Caveats: Men are required to wear jackets at dinner, the style of the hotel is rustic, farmhouse chic, why not just dress attire and skip the jackets. (Lunchtime attire is casual) The food is excellent, but like all of the super lodges in NZ, meals tend to be gourmet with numerous multiple courses. After a few days of formal meals, we were jonesing for something more casual and simple. You won’t lack for space: all of the accommodations at Cape Kidnappers are suites; oh so comfy and state of the art with spacious bathrooms and terraces. We stayed in one of the Ridge Suites, very private and quiet—we highly recommend these. And there’s more: In Hawkes Bay, you can arrange for hot air ballooning, paragliding, and helicopter flights, if you want to see the countryside from an even loftier height than Cape Kidnappers.